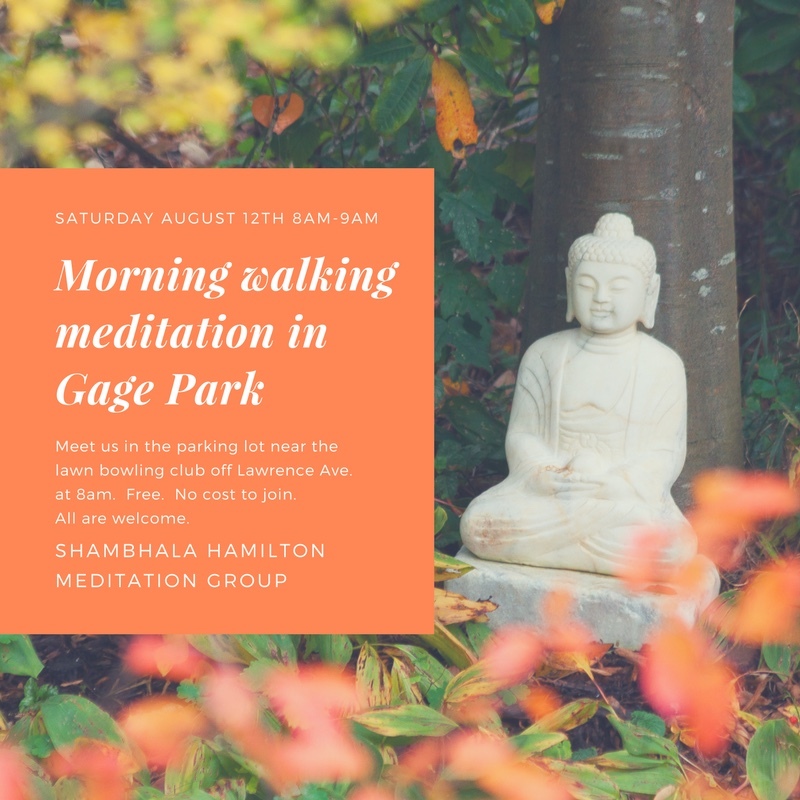 Saturday August 12th we are doing an outdoor walking meditation at Gage Park. We will walk in silence, mindfully through the park starting at 8am. Occasionally a chime will sound to remind us to take pause and notice. Then we will continue our walk. Please join us. All are welcome. Meet us at the parking lot near the lawn bowling club off Lawrence Ave at 8am. Email us if you have any questions.